Just in case you think your KISS machine isn’t quite flashy enough, make your KISS pinball machine extra glitzy with the new blindingly bright KISS topper from Stern Pinball. Pinball Supernova shows the installation process and game play. 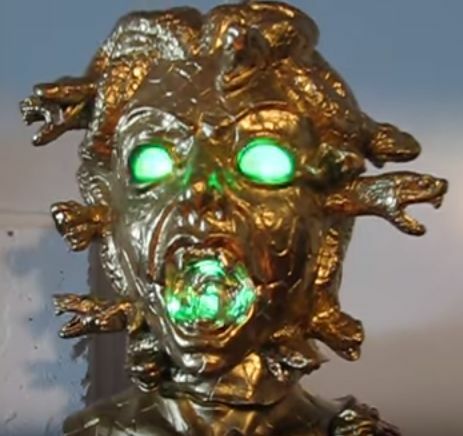 To fill up that Halloween quotient, check out Eddie Cramer’s Medusa head on a Bally Medusa. That head is at least “Castlevania” creepy.